sailboat. : Five Things & Five Blogs I Love Friday 033. Oh I love urban outfitters homeware! I desperately want the giant world map that they have, and probably about 10 of their quilts. Way out of my budget, but a girl can dream. A photographic print store would be amazing Jennie! Your photos are beautiful. An exciting step! I must get back on the 30 Day Shred! Hard work but it makes you feel SO good after! 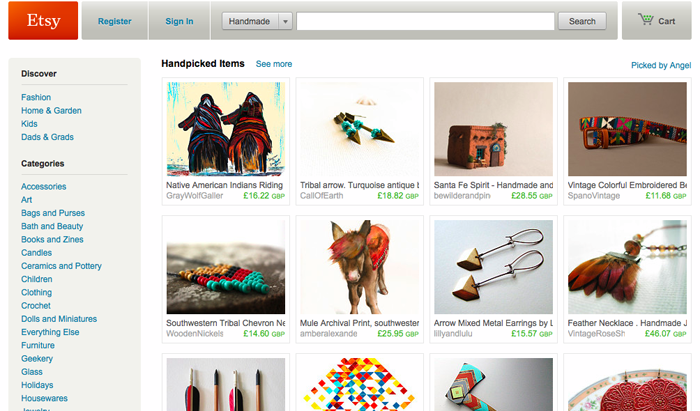 Etsy is brilliant, it's budding with creative talent. I'm going to have a browse now... you've tempted me! It's totally an investment piece, something to be treasured forever! You have such good taste Jennie! 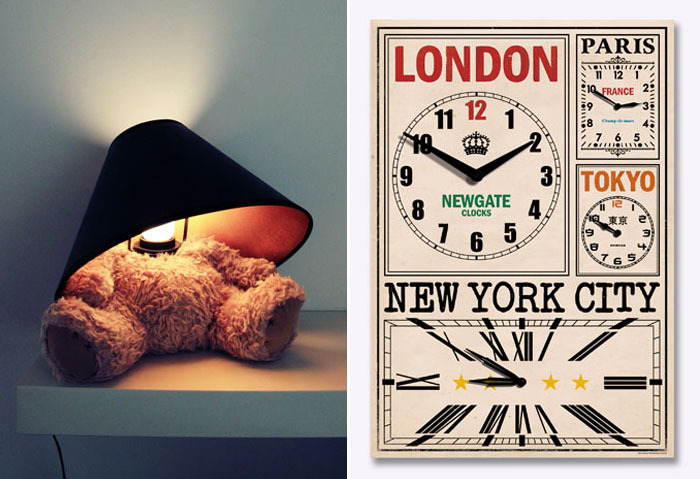 Love that hilarious little teddy lamp and the print! Thanks for including me in your blog list! :) I've just moved house and I have some kind of addiction to clocks, so I'm completely in love with that John Lewis one haha! Ha, I just did a 30 day shred workout 10 minutes ago! I've had a couple false starts with it and I no longer use it as a daily workout. You do see a really fast change in your endurance with it, but the problem I had was that, since you repeat the same strength moves every single day without time off for your muscles to recover, I was feeling incredibly worn out by the fourth or fifth workout. Then I'd "take a day off" to rest, but after my day off, it was easy to say, I've already failed at the "30 day" program, so I might as well take another day off... then next thing I knew, two weeks had gone by! In terms of having a program to stick to, I've had better luck with the Couch to 5K running program (I just finished week 4 and I've already lost 8 pounds, and that's without changing my eating habits), and I just started supplementing it with 30 Day Shred workouts every couple of days to build strength. However you choose to use the Jillian Michaels dvd, I'd love to read updates on your progress if you're willing to blog about your experience! 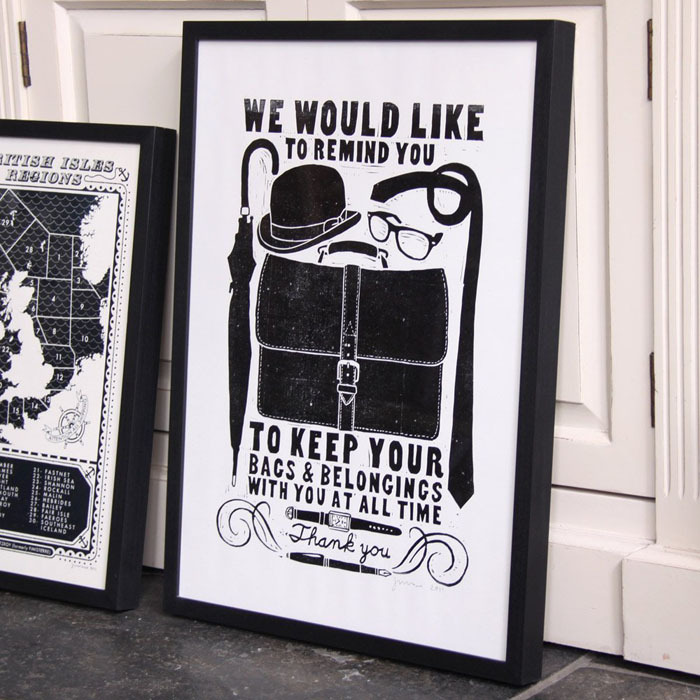 So agree about the prints, we're renting and can't hang anything on the walls so its really annoying. But I am dreaming of the day when we buy our own house and I have lots of walls and space to fill! Love finding new blogs too, great list!